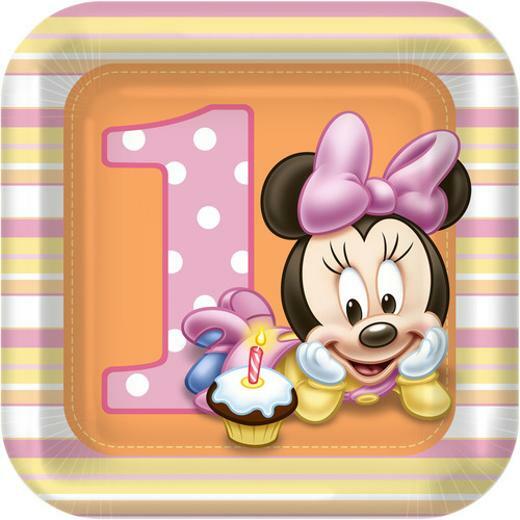 Guess who's turning one? These adorable Minnie's 1st Birthday Dessert plates measure 7" x 7" square and are sure to bring giggles of excitement from the party crowd. Each package contains a total of 8 paper plates.